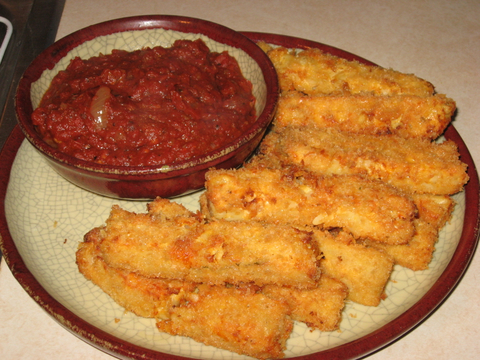 it is the cheesy fingers made from the rich permasane cheese and vegetable. this recipe will fill your mouth with cheesy masti. And its has great consistency of cheese. 2 1/2 cup Parmesan cheese. Mix cheese with all the ingredients and make two inch thick fingers of them. Place them in fridge for one hour or till they sets. Heat oil in a pan and shallow fry till they turns golden brown and crispy. Remove from heat and soak it in absorbent paper. Serve with your favourite choice of sauce or sweet schezwan sauce. hi frndz d second ingredient mentioned in d recipe is olives.